All Tai Chi (pronounced tie-jee and sometimes spelt taiji or taijiquan) styles have more in common with each other then they have differences. The key to a fine style or 'form' is that it is a good container for the deeper internal principles it was designed for, just as a fine champagne requires a strong bottle to contain it. There are 5 main styles - Yang, Wu, Chen, Sun and Combination. A Tai Chi form can be either large, medium or small 'frame', which dictates the amount of space required to perform it as well as the actual physical extensions involved. It can also be 'short' or 'long', which simply describes the number of individual movements the form contains. Where Yang-style forms are traditionally medium to large frame and develop very high quality martial skills and qigong (pronounced chee-gong: internal subtle energy work), many of the Wu-style forms, and in particular the style Longwater Tai Chi teaches, are small frame and perfect containers for health chi gung and meditation. That is not say these small frame forms are not good for martial arts - simply that they are more condensed and obtaining a high level of skill requires greater dedication. 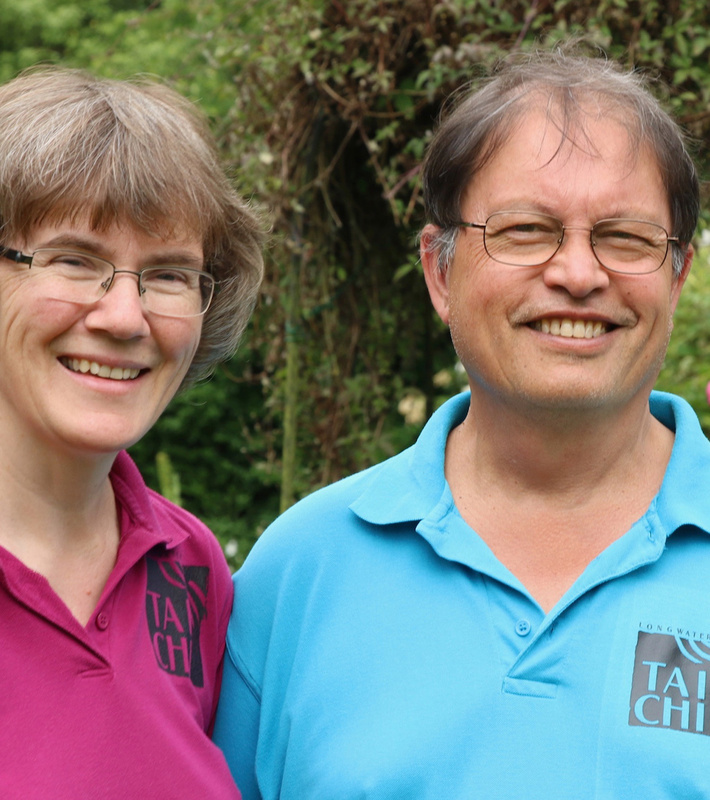 Longwater Tai Chi teachers Jane and Patrick Foley have over 50 years experience between them in studying and teaching various forms, including Chen, Wu, Yang and Sun styles studied with top quality masters like Bruce Frantzis, Sam Masich and Dr Paul Lam. Their assistant teacher Gina Davenport specialises in the Sun style based forms taught by Dr Lam. However many of our students start their journey not directly studying a traditional form with us, but rather learning principles of balnce and movement via our hugely popular Waves and Clouds sessions. Outer - Understanding the outer form - it's physical alignments and adherence to the Tai Chi principles. Application - Applying the structure to application - this means understanding the Tai Chi energies associated with the posture and being able to manifest them with an external connection (i.e. partner). Inner - Integrating neigong into the postures and movements (transitions). After much practice, you will begin to learn how to use the form to deeply relax, heal and meditate. The Yang style of tai chi is characterized by more open movements with clear expression of the application - it is the perfect study for those who want to practice tai chi for robust health, mindfulness and subtle connection. We have a wide curriculum to offer that includes weapons and partner work as well as solo hand forms, mainly taught during day and weekend workshops. The Wu style of tai chi is characterized by smaller movements with more complex 'hidden' applications - it is the perfect form for those who practice tai chi for health, meditation and especially for those over 50 or just starting a tai chi practice. 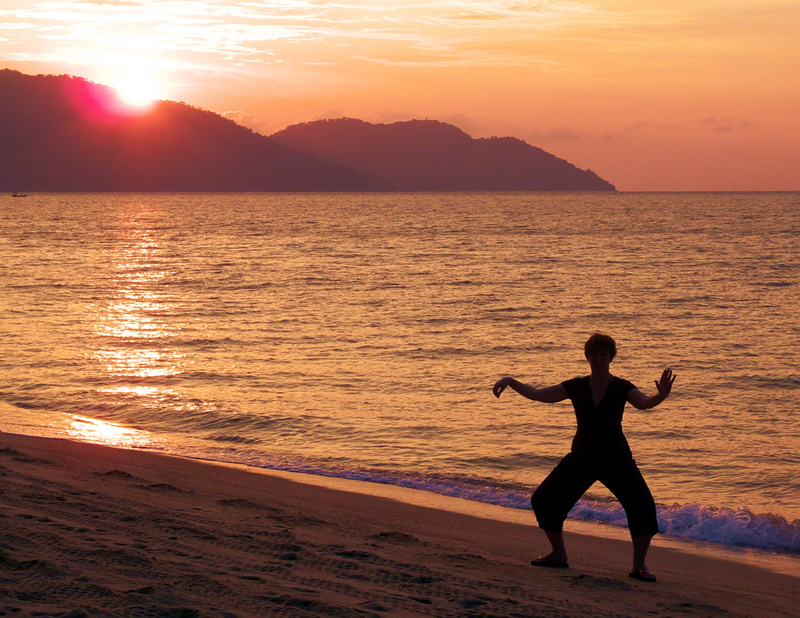 Wu-style Tai Chi is particularly beneficial for facilitating the healing of injuries, especially back problems. We primarily teach the Modified 64 form but can also offer more traditional forms.